“Perfect in Memory” by Rick D. Niece is a tribute to a mother’s love, devotion, and sacrifice. As the author states, all his mother ever wanted was to, “Be a good mother and make it perfect for my boys.” What mother doesn’t want things to be perfect for their children? The story itself is written in an unusual way. The author’s intent was to write about childhood memories to share with his mother while she was home bound with pulmonary fibrosis. He never got the chance. One of the things he remembers was that he and she were always remembering events while the children were growing up, and this was the only bond he and his mother shared. He wrote this book with encouragement from his wife, to bring some hope and love to his mother prior to her passing. As I was reading these memories, it reminded me of times when life was simple, family values meant something, and we often learned to do without. It will remind readers how we are so caught up in technology today that we have forgotten how to have a real conversation, visit people in person and even say “I love you” face to face, as we now do these things through texts or on social media. Niece does an excellent job of turning back time and helping readers remember the way things used to be, and that regardless of strife in families, one can always remember good times. At the beginning of the book, the term automythographies is discussed. I had never heard this term. The definition is basically, “Memories are based on an author’s life in no particular order, and are based on what he/she thinks they remember and how he/she thinks they remember it.” Each family member might remember things or events in a different way, but it is the author’s thoughts first and foremost. 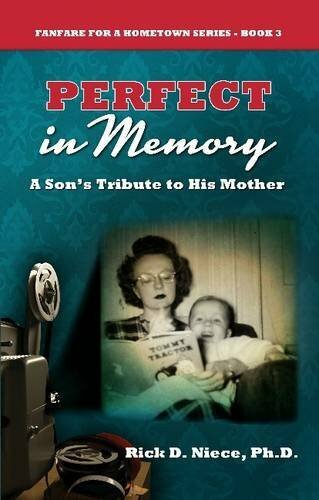 "Perfect in Memory" by Rick D. Niece will have readers laughing and crying as it brings up their own memories. For this reviewer, it meant don’t wait until tomorrow to tell significant others how you feel.